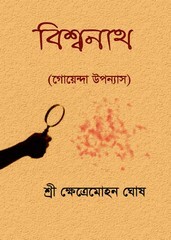 The book 'Bishwanath' is a 'prehistoric' detective novel. There are many mystery, adventure stories in this book and all this stories are not so modern but it would be good to know that the environment of these stories are one hundred years ago. Dear readers may read this long years ago goenda story from the ebook whose download link is below. The ebook pdf has 137 pages, 6mb file size.